You Can Handle The Rapids, But Can You Handle The Beer? 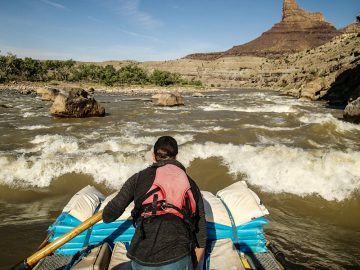 Scott Saulsbury, head brewer for Southern Oregon Brewing Company, grew up rafting portions of the Rogue River, but never had the chance to take a multi-day river trip until he went with OARS. Even better, he got to bring along 10 kegs of beer and a chef to help make the experience unforgettable. 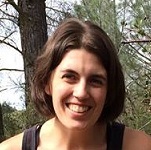 Cari Morgan talks beer, steak and “football” on the river with Scott below. 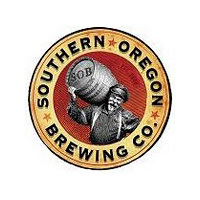 Tell me about Southern Oregon Brewing Company. What do you guys specialize in? We’re a 20-barrel, 4-vessel brew house in Medford, OR. It’s more of a production brewery, but we do have a tasting room that is attached to it. Primarily our three main flavors are a Porter, an IPA and a Czech Pilsner. We have rotating seasonals, occasionally special beers, and things like that. What got you interested in making beer? It was April of 1993 when I got my first brewing job. I needed to find some employment and I sort of hit the wave — it was that first wave of the craft brew scene in the early 90’s and I ended up over at Deschutes Brewery in Bend, OR. Then, in 2008 I hooked up with Tom Hammond and another friend of mine, Anders Johansen, who did the set up for Southern Oregon Brewing, and I just stuck around. Now the craft brew scene is making it to the great outdoors. When you got invited to be the brewer on a Rogue River OARS Craft Beer Tasting trip, what went through your head? Kind of funny, right before the offer came through, my wife and I had seen an article in Sunset Magazine about OARS trips down the Rogue. We were kind of joking around about how nice it would be to do something like that. It was serendipitous to say the least. What’s the Rogue River like? I grew up in Grants Pass, OR, but I had never been down the Wild & Scenic Rogue River, so it was a treat. It’s really a fun one. I know there are bigger whitewater rivers out there, but it’s pretty fantastically beautiful. What was your craft beer river trip like? I did all draft, so I brought a bunch of kegs and a jockey box, which is sort of a cooler converted into a draft device. I had all sorts of concerns about keeping it cold and whether it was going to work right. But it was fantastic, and worked really smooth. And we had a great bunch of people. About half of the crew was from Australia, and they came specifically for the beer, so they were hilarious. How much beer did you bring? We brought ten, 5-gallon kegs. Fifty gallons of beer for 3 nights and it was consumed down to the last pint on the last night by the Australians. They weren’t messing around. There’s eight pints in a gallon, so that’s 400 pints of beer! Why does beer taste so good after a day on the river? As a brewer, a beer tastes good almost all the time. But on the river, you’re not drinking during the day, and you’re out in the sun. We stopped around 4:30 p.m. every day, whipped out the beer and everyone was pretty eager to have that first one. And then you throw in good food, too. What can people anticipate in terms of food on an OARS Craft Beer Tasting Adventure? The OARS food is amazing to begin with and then you add on a chef doing a 5-course meal every night. You come away having gained about 15 pounds. Last year, Dave Georgeson from Larks Restaurant did a porter marinade with some steaks that was just fantastic. But he also brought along a ton of appetizers like crab cakes that were great with the lighter beer. I can’t even remember the other appetizers we ate so much food. This fellow Neil Clooney, who’s going to be coming this year, is from a place called Smithfields in Ashland, OR. He specializes in meats. 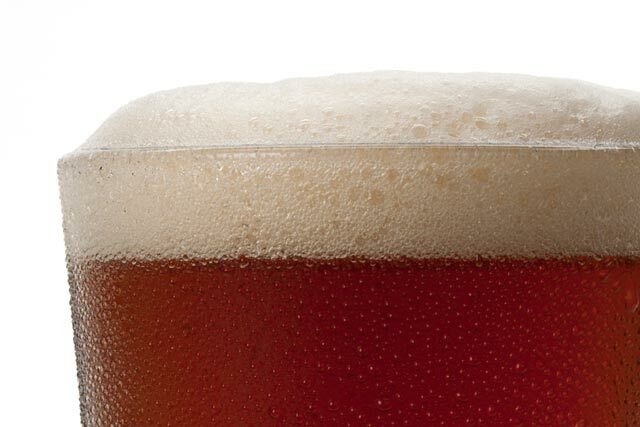 We’ll probably end up pairing a lighter cleaner beer with appetizers and then sort of move down the ladder to the hoppier, sweeter, thicker beers with the main courses and desserts. But he’ll also want to cook with the beer, so he’ll probably make some marinades. 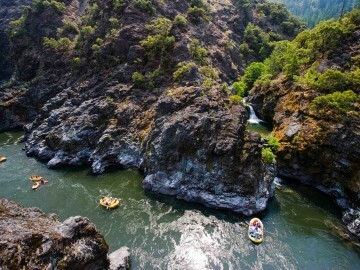 Since the Rogue River was your first trip with OARS, what were you most surprised about? There was definitely a level of competence that put everyone at ease. 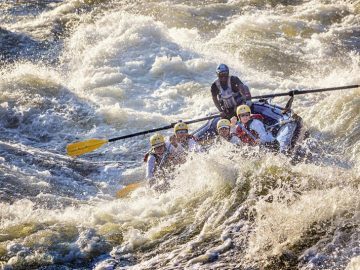 That was a really nice bonus to get to just sit back and sort of enjoy the ride and get the whole excitement of rafting without the fear of drowning part, or anything like that. I was pretty amazed. It was really well run. If there were any special needs the guides were really cool about it. It was a great trip. Everyone seemed to have a really good time. There were several couples, a family and then the wacky guys from Australia. Everyone had a blast. 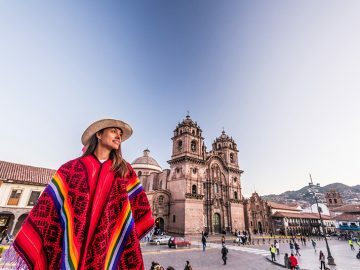 Best moment from your trip? We spent an entire morning learning the Australian rules for football and that was pretty fun. There was a lot of splash fights, and jumping off of rocks. Nothing too crazy. It was just super relaxing and nice to unplug.